So this week I finished my final exam and completed my two years at college, I am so excited to finally start blogging full time - or at least until I start Uni in September! 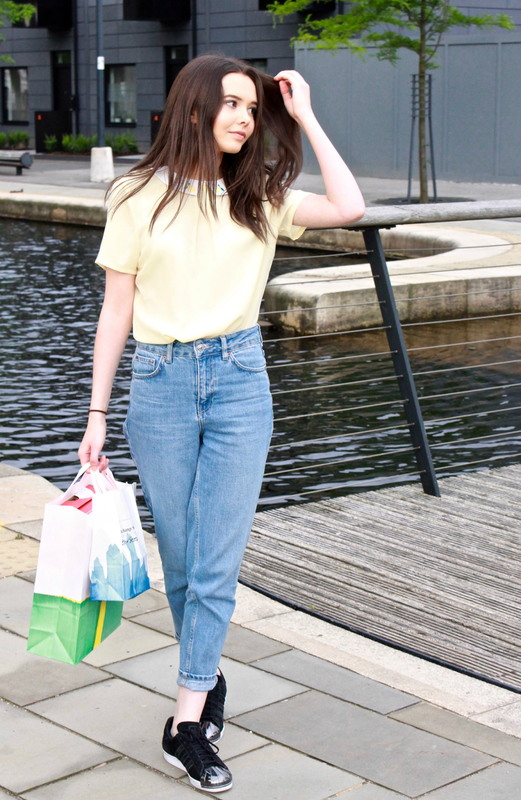 I thought I'd get back to my OOTD posts by starting with this outfit I wore to the '& Other Stories' launch event in Manchester, featuring my Lemon embroidered blouse from Sugarhill Boutique! 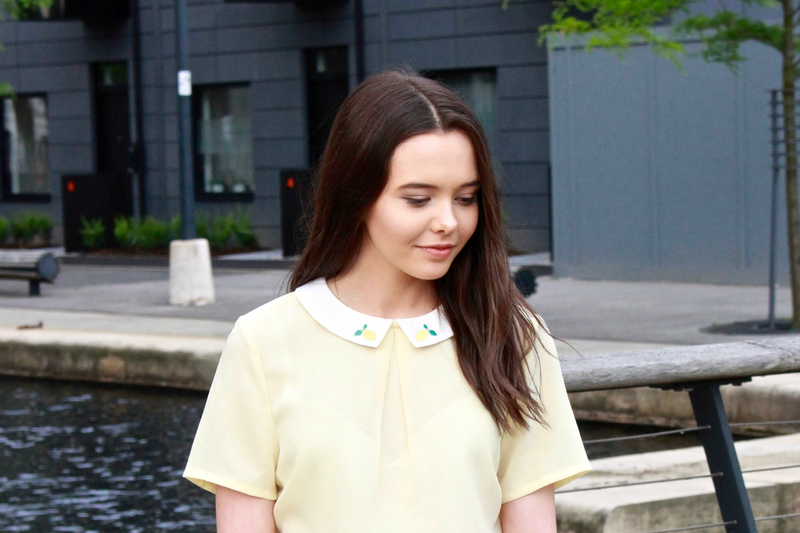 I think I'm a big fan of this Kia Lemon Embroidered Blouse from Sugarhill Boutique because 1) I'm wearing a yellow top and my wardrobe is usually completely black - this is a big achievement and 2) It reminds me of Beyonce's Lemonade album so of course I am going to love it! I've noticed that the embroidery trend is all over clothes at the moment from skirts to jeans to bomber jackets but my favourite is cute blouses with embroidery on the collar. I styled it with my Mom Jeans and Adidas Superstars. This is the outfit I wore to the '& Other Stories' Launch Event in Manchester - another cuteeeee store that I am obsessed with. I will have to do a separate post showing you what I bought from there too!